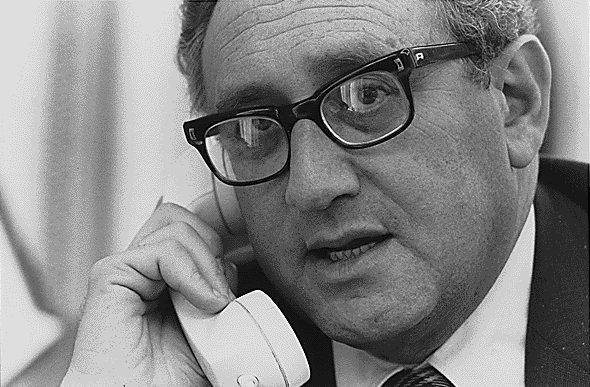 More than four decades ago, US National Security Adviser Henry Kissinger declared 1973 to be ‘The Year of Europe.’ His aim was to highlight the need to modernise the Atlantic relationship and, more specifically, the need for America’s European allies to do more with the United States in the Middle East and against the Soviet Union in Europe. Kissinger would be the first to admit that the Europeans did not take up his challenge. Nevertheless, we again face a year of Europe. This time, though, the impetus is coming less from a frustrated US government than from within Europe itself. The stakes are as high as they were in 1973, if not higher. Russia shows no sign of withdrawing from Crimea or stopping its efforts to destabilise eastern Ukraine. There is genuine concern Russia might employ similar tactics against one or more of the small NATO countries on its border. Refugees have added to Europe’s strain, as has terrorism inspired by events in the Middle East or carried out by attackers from the region. Brexit, the United Kingdom’s exit from the European Union, has now formally begun; what remains to be resolved are its timing and terms, which will determine its impact on the UK’s economic and political future and on others contemplating withdrawal from the EU. Greece and a number of other countries in southern Europe continue to be burdened by high unemployment, growing debt, and a persistent gap between what governments are being asked to do and what they can afford. But of all the challenges confronting the EU, France’s upcoming presidential election holds the most significance for Europe’s future, and perhaps for that of the world. Polls indicate that any of the four candidates could emerge as the eventual winner. What makes this uncertainty different and truly consequential is that two of the four, National Front leader Marine Le Pen and far-left leader Jean-Luc Mélenchon, support policies far outside the French and European mainstream. If either wins the second-round run-off on May 7, it could mean the end of French membership in both the EU and NATO, raising existential questions for both organisations—and for all of Europe. Such scenarios were unimaginable until only recently. For decades, Europe has constituted the world’s most successful, stable, and predictable region, a place where history seemed to have all but ended. The goal of making the continent peaceful, whole, and free had largely been realised. But dramatic change has come to Europe. One factor is the willingness and ability shown by Vladimir Putin’s Russia to use military force, economic coercion, and cyber manipulation to advance its agenda. But an even greater challenge to modern Europe comes from its own politicians, who increasingly question the value of the EU, the heir to the European Economic Community established in 1957 by the Treaty of Rome. The rationale behind Europe’s six-decade-long integration process—often called the ‘European project’—was always clear. Western Europe, and above all Germany and France, had to be unified to such a point that war, which had so often characterised the continent’s past, would become unthinkable. This has been achieved, as has considerable economic progress. But, along the way, the European project lost its hold on Europe’s citizens. The EU’s institutions became too distant, too elitist, and too strong, not taking into account the national identities to which Europeans remained attached. The ill-advised creation of a monetary union without a fiscal counterpart made matters worse. The bureaucrats had overreached. The rise of populist, nationalist candidates on both the left and the right in France and elsewhere in Europe is the result. And even if one of the two establishment candidates prevails in France, much will remain uncertain. The immediate crisis will have passed, but the long-term challenge will remain . It is apparent that the EU needs to be rethought . It needs to move away from “one size fits all” to something more flexible. There also needs to be a rebalancing of power away from Brussels, the seat of most EU institutions, toward the national capitals. Governments need to do more to create the prerequisites of faster economic growth while enhancing workers’ ability to contend with the inevitable elimination of many existing jobs as a result of technological innovation. Germany, whether led by its current chancellor or her principal opponent after its general election in September, will need to take the lead here. Europeans, appropriately enough, will mostly determine Europe’s future. But the Trump administration also has a role to play. Trump’s shortsighted support for Brexit and other exits from the EU must end; a divided, weaker, and distracted Europe will not be a good partner in NATO. It may be true that Asia is more likely than Europe to shape the history of the twenty-first century. But the lesson of the last century should not be lost: what happens in Europe can and will affect global stability and prosperity. Richard N. Haass is president of the Council on Foreign Relations and the author of A World in Disarray: American Foreign Policy and the Crisis of the Old Order. This article is presented in partnership with Project Syndicate © 2017. Image courtesy of Wikimedia Commons.